Victor has an amazing vocal range enhanced by almost pitch perfect performances which surprises and impresses every audience he entertains. While his talent is quite natural Victor has gained much experience from participating in a number of contests since first beginning to sing. 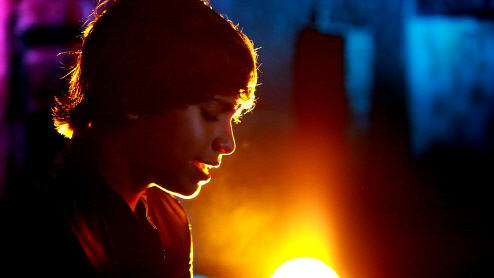 His first stage performances were in the school festivals where he attended. Because he won three years in a row, the school board asked him not to participate his fourth year so that others might have an opportunity to win. Victor has been an active student of the Pernambuco Conservatory of Music since 2006, and his repertoire includes music ranging from Michael Jackson to Luis Gonzaga. His first major experience was participating in the CD Frevo “Wings Frevo” composed by the renowned composer J. Michiles. 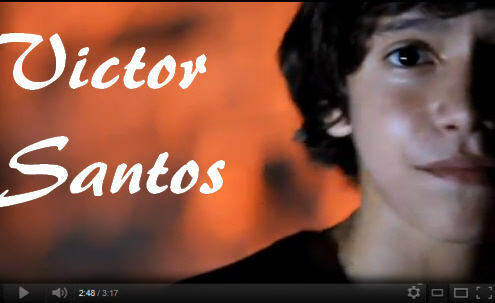 In addition to this rewarding experience he was also featured in his father’s ( Louro Santos) second Music DVD. His inclusion in this special production has proven to be a real launching pad for Victor, helping him amass many new fans. This Father / Son act has quickly gained much popularity, charming countless audiences in Brazil and their fame is now reaching abroad to both Europe and the US. This amazing Musical DVD was recorded in the town of Bayeux in Paraiba. Many beautiful arrangements by Louro are included and watching both Father and son perform is spellbinding. Today Louro and Victor share the stage together and the songs which are most requested are; Retrato, Anjo, Paquerar, Pense em Mim, O Nosso Amor, among others. Many of their performances have an acoustic set and the blending of their vocals brings the crowd to their feet. 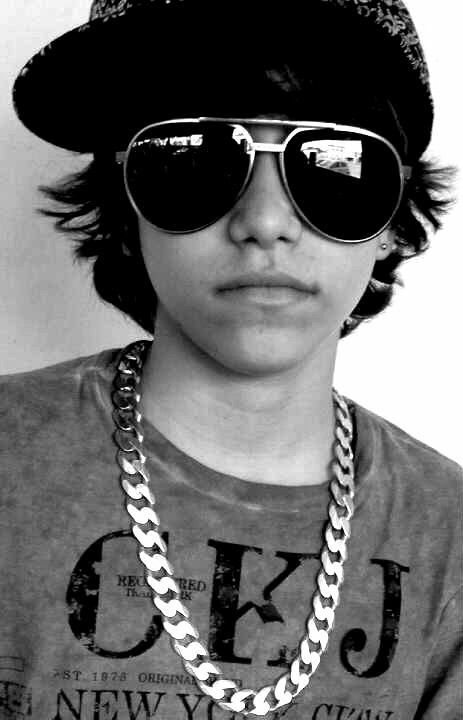 Victor performs songs like “I’ll be there”, “Ben” and “Music and Me”, by Michael Jackson, “Love of my life” by Freddy Mercury, “Yesterday” by the Beatles and “Como via Você” by Roberto Carlos. While these songs really showcase the talent of young Victor he is also eloquent in singing the romantic compositions by his father. 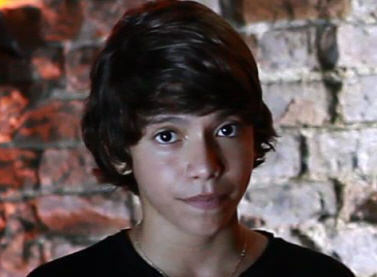 In early June 2010, the duo signed to Universal Music Brazil. 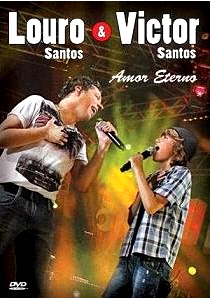 Through the label, they recorded the CD and DVD titled AMOR ETERNO which was launched in September 2010. 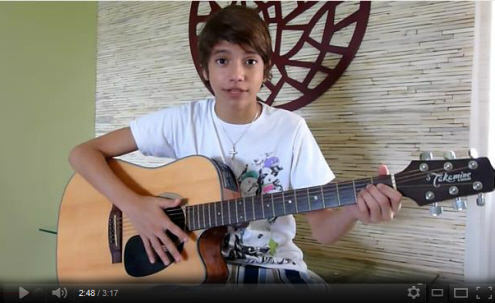 Victor plays the Acoustic Guitar and often accompanies himself when singing. As early as three years old he began to play and perform for his family in the backyard of their home. Victor is currently in his second year of High School. Victor desires to convey love through his music! He especially likes the phrase; “Music is around us, you just need to hear it”. 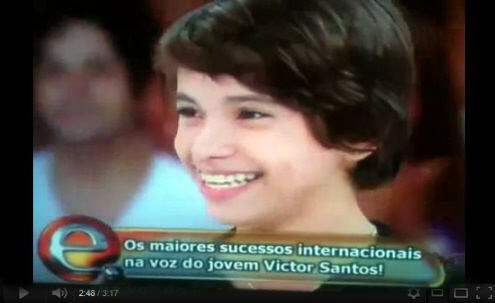 Victor names: His Father, Michael Jackson, Beatles, & Freddie Mercury as his greatest musical influences. He lists his favorite movie as “The Pursuit of Happiness” with Will Smith, & “The sound of the Heart”. His Favorite pastimes include going to concerts & movies. Sports and other activities include Basketball, English and playing guitar. Previous Previous post: TJ Prodigy Taking A Stand To Make A Challenge For Change!